Pythagoras was a 5th century Greek philosopher and mathematician1. His most famous contribution, the Pythagorean theorem, is still used in everyday in applications from engineering to contour maps. Where each symbol (a,b & c) represents the different sides of a right angle triangle. 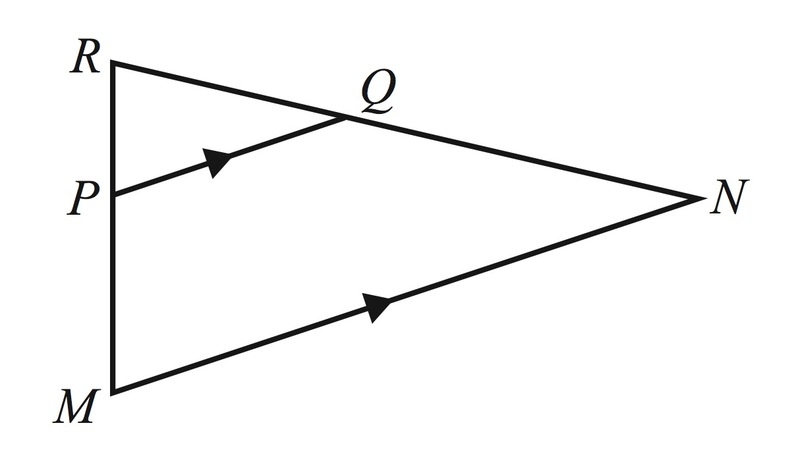 For example, Figure One below shows a right-angled triangle. The theorem states that the sum of the squares of the two shorter sides (a & b) is equal to the square of the hypotenuse (longest side). It’s important to note that this theorem only applies to right-angled triangles, which have one angle which is 90 degrees (in the case of Figure One below, the angle C represents a right angle). 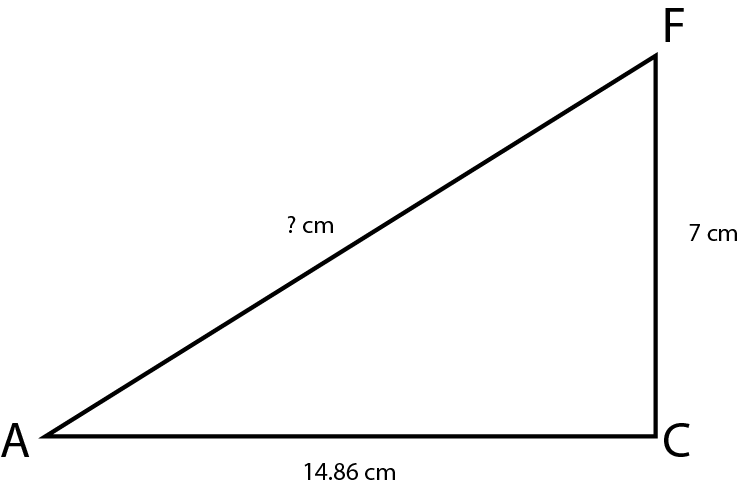 A common trap on VCAA exams is that students apply Pythagoras’ theorem incorrectly to triangles that are not right-angled. Always look for the right angle. A right-angled triangle has the sides 5 cm and 12 cm. 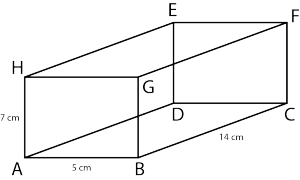 What is the length of the missing side? 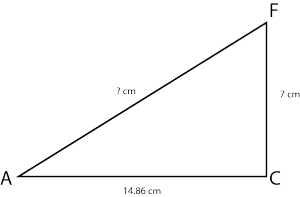 The hypotenuse of a triangle is 15 m and one side is 9 m. What is the length of the other side? The theorem can also be applied to multiple three-dimensional objects such as cubes or boxes. 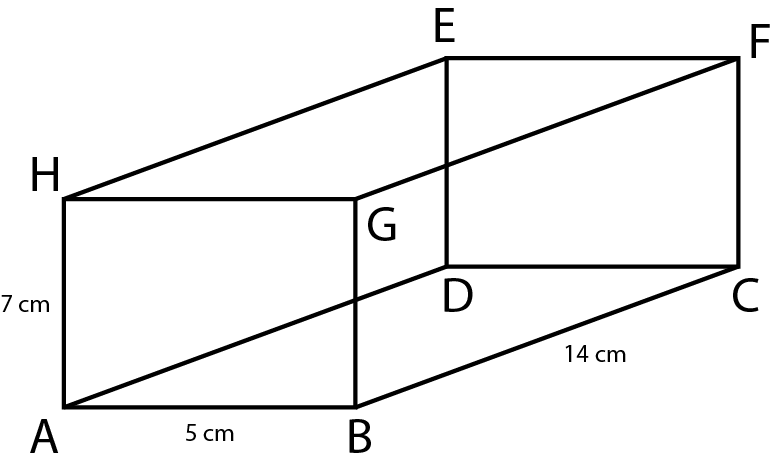 Application in these circumstances can be deceiving as it’s not immediately obvious that Pythagoras’ theorem should be applied. The lengths of a pencil box are 5cm, 7cm and 14cm. A pencil is 16cm long, will it fit in the pencil box? Hence, the answer is: Yes, the pencil will fit as the pencil is only 16 cm and the maximum length possible inside the pencil box is 16.43 cm. Pythagoras’ Theorem helps us find unknown side length and angles but sometimes the use of similarity is required to find the relevant information. If two shapes are similar they have the same shapes but can be of different sizes or orientation. Similar shapes will always have the same angles but their side lengths will always be a factor of one another. For example, the following figure shows two similar triangles; the second triangle being a factor of 2 smaller than the first but with angles exactly the same. In triangle MNR, point P lies on the side MN and point Q lies on side NP. The lines PQ and MN are parallel. The length of RQ is 4 cm, the length of QN is 6 cm and the length of PQ is 5 cm. Note: If two shapes are similar the ratio of their corresponding lengths are equal. 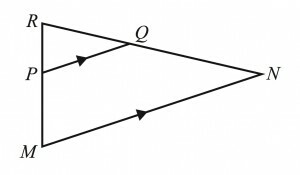 To work through this question, you must apply the similarity principle and also the note above. First, note that the triangles MNR & PQR share a common angle at R. Also, since PQ is parallel to MN, both triangles MNR & PQR must have the same angles. Therefore, they are similar. A common mistake is that students take the value for QN (which is given) and use it in the ratio calculation incorrectly. Therefore, the correct answer to the question is D.